WASHINGTON — The Pentagon on Wednesday released video of a U.S. long-range interceptor missile successfully destroying its airborne target the day after conducting an exercise meant to send a signal to North Korea. Thermal imaging video shows the interceptor directly colliding with an intercontinental-range missile fired from a test site on Kwajalein Atoll in the Pacific on Tuesday. 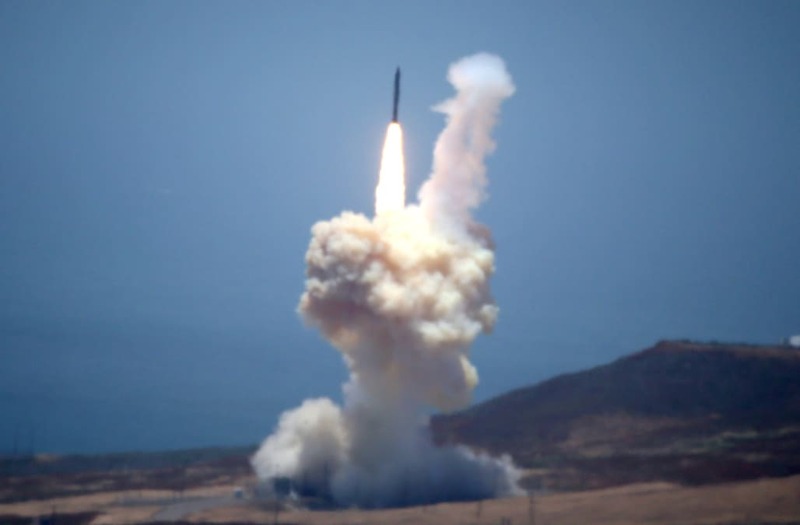 The interceptor missile was launched from an underground silo at Vandenberg Air Force Base in California. The test comes as U.S. tensions with North Korea continue to rise. North Korea launched a military projectile on Monday that landed in Japan's maritime economic zone, and leader Kim Jong Un has vowed to continue work on weapons that could potentially strike the West Coast of the United States. Before Tuesday, the most recent intercept test took place in June 2014. That test was also successful, but previous launches have not been since the weapons system was deemed ready for combat in 2004. Just four of nine tests have effectively destroyed its target.